We hope you are enjoying the summer months. 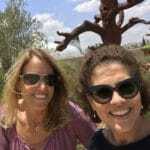 As you can see in the update below, Lisa and I were recently in Israel. We met with several of the inspiring women, who lead organizations in Israel that JWF supports through our grants process. 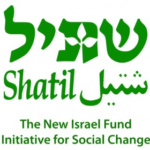 Our grants in Israel empower women and their families and support women’s leadership to create a more just and equitable society. I also spoke at a graduate level class in non-profit management at Hebrew University’s Rothberg School for Overseas Students. In this week’s Torah portion, Devarim, Moses begins his farewell message to the children of Israel 37 days before his passing. Rabbi Joseph Telushkin asks the question: “If you could give one last message to your descendants, what would you say?” Moses began his farewell message discussing the importance of justice and that a just society begins with equal justice under the law. Through your support of JWF’s mission to empower women and their families, you send a powerful message in support of justice and equity. You are showing your descendants, your children and grandchildren, your commitment to create positive change in the world. We look forward to working with you this year and celebrating the impact of our work together at our Imagine the Possibilities luncheon and 15th anniversary celebration on December 13th. Enjoy the important updates below on JWF’s grants, advocacy, and leadership development work. Read the articles at the bottom on topics related to JWF’s work. Review our schedule of programs and events for 2017-18 and mark your calendars! As always, please contact us with your ideas and to get involved. JWF held its first summer social on July 18. It was a lovely social gathering hosted by Vivian Lieberman, Carla Schwartz, and Phyllis Shuster at Cooper’s Hawk in Palm Beach Gardens. JWF trustees and friends enjoyed spending a casual evening together – so stay tuned for more social evenings this coming year! One of the greatest benefits of being a JWF trustee is the ability to join a committee and have a voice in the decision-making process! Sign up now before the season starts! For more information, or to join a committee, please email jennifer@jwfpalmbeach.org. 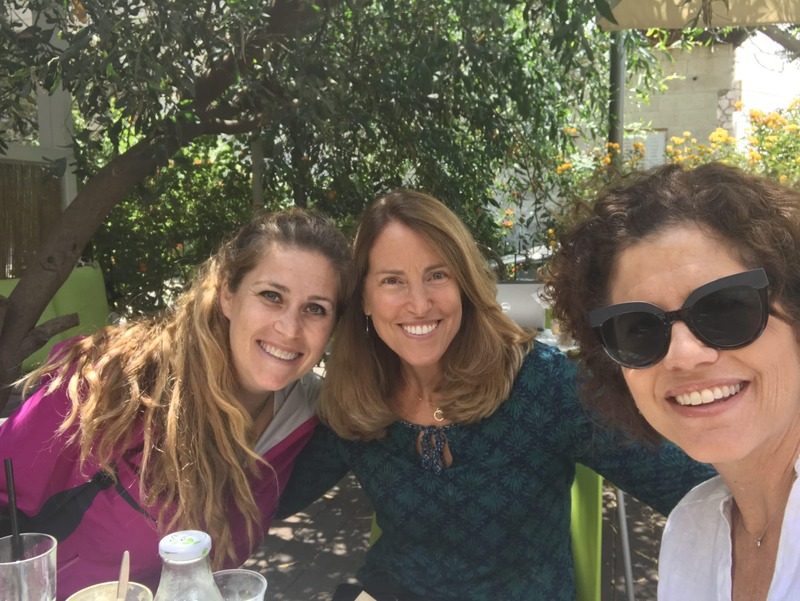 This summer Tami and Lisa were in Israel and had the opportunity to meet with grantee partners, Michal Barkai from ALMA pre-military academy and Ronit Heyd from Shatil, The New Israel Fund Initiative for Social Change. Israeli grantee partner Ohr Torah Stone proudly announces that effective September 1, 2017, Rabbanit Devorah Evron will be assuming leadership of the Susi Bradfield Women’s Institute of Halakhic Leadership (WIHL). To learn more about Rabbanit Evron and WIHL, read this announcement. 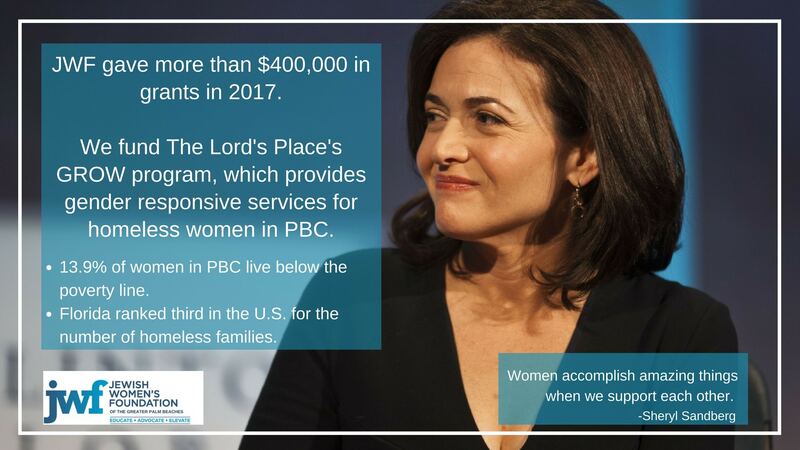 Our grants are truly creating positive change in the U.S. and Israel through empowering women and developing women’s leadership. A new baby in the JWF family! 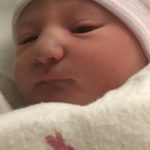 Mazel Tov to JWF trustee Ashley Brevda, and her husband Michael, on the birth of their son, Jordan Matthew on Thursday, July 27! October 2 – 7PM – 9PM – Feminist, Progressive & Zionist: Jewish Women Confront Anti-Semitism. Temple Torah Emet, Boynton Beach. Save the Date – December 13, 2017 – Imagine the Possibilities campaign luncheon honoring Sandra Krakoff and celebrating our 15th anniversary. Lisa Schneider, event chair. Richie Comiter and Beth Wayne, event co-chairs. Colony Hotel, Palm Beach. Sponsorship and Tribute opportunities available. Call the JWF office for more information or visit our website! Save the Date — March 1-8, 2018 – Force For Change Conference, experience Israel through a gender lens with JWF. For more information about JWF programs and events, please contact Miriam Laing, External Relations Manager, at 561-275-2200 or by emailing miriam@jwfpalmbeach.org.